This summer has been a season of exploration for me. Not only have I been exploring to re-discover myself, I've also been challenging my family to go more GREEN. Our newest endeavor is to convert our household cleaning products to green alternatives. Needless to say, I was excited to test an ECOVER product! ECOVER, originally founded in Belgium in 1980, has been a fore runner in the push to offer green products. They initially developed and marketed a phosphate-free washing powder and have grown to become the world's largest producer of green cleaning products. ECOVER promotes ecological responsibility in all facets of it's organization, from the products it markets to the ECOVER production facilities. 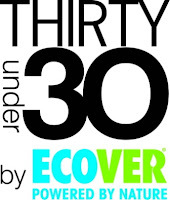 To celebrate their thirty year anniversary, ECOVER is launching a contest this fall to find and recognize individuals who share their passion for protecting the environment and living responsibly. You can find out more about the contest and how you can nominate deserving individual at the ECOVER website. ECOVER offers a full line of green products, from dishwashing to laundry products, household cleaners and even a line of personal care products. Need a green solution for washing your car or boat? ECOVER has you covered! I was given the opportunity to test ECOVER's All-purpose cleaner. My home has a tremendous amount of tile. Tremendous. Combine that with one dog, two cats and two kids, and you have a Mom who is constantly fighting the clean floor battle. After my first test, I was left wondering what on earth took me so long to make the switch! When you use traditional floor cleaner, even when the manufacturer's try to disguise the horrible chemical aroma with various floral or citrus scents, you're left reeling from the fumes. You know the eye twitching, watering, scrunched up face, inevitable headache producing smell I'm talking about. None of that with ECOVER! Quite to the contrary, fresh, lemonly and clean! No eye watering or face scrunching necessary. The clean from ECOVER's All-purpose cleaner was top-notch! No residue, no streaks...just a nice, fresh clean. I highly recommend it! Ready to get the green in your cleaning routine? ECOVER is generously offering a bottle of ECOVER All-purpose cleaner to one of my readers! This giveaway is open to US & Canadian residents, ages 18+ and will end on Saturday, Sept 18, 2010 at midnight, EST. The winner will be selected via Random.org, will be notified by email and will have 48 hours to respond before I move onto a second drawing. Please leave you email address in your comments so I can notify you if you are the winner! You must be a follower of my blog in some fashion to enter this giveaway, whether via Google Friend Connect, email or RSS feed subscription or via twitter. To enter, please visit the ECOVER's blog and let me know in a comment something you appreciate about ECOVER that you learned from their blog and also the method that you follow That's What She Said. CONGRATS TO BRIAN PIERO, COMMENT #83, COURTESY OF RANDOM.ORG. I received a bottle of ECOVER's All-purpose Cleaner and a reusable tote to test for the purposes of creating this review. Information and graphic were taken from ECOVER's various sites. The opinions above are honest and my own. I learned that not only are their products earth friend, but the packaging of those products is also earth friendly (totally recyclable). Brilliant! #1 - I'd like to try the Laundry Powder. #2 - I'd like to try the Laundry Powder. #3 - I'd like to try the Laundry Powder. I like: Honest and open, we respect people and the environment. 1. I like Ecover on FB - Janet Fri and I left a comment. 2. I like Ecover on FB - Janet Fri and I left a comment. 3. I like Ecover on FB - Janet Fri and I left a comment. 1. I would like to try Cream Scrub. 2. I would like to try Cream Scrub. 3. I would like to try Cream Scrub. 1. I entered Penguins of Madagascar. 2. I entered Penguins of Madagascar. 3. I entered Penguins of Madagascar. Love that they are phosphate free-earth friendly and they don't test on animals. I learned that Ecover is one of the first companies to use a sugar cane based form of polyethylene (PE) in its packaging. My family is going green by trying to recycle more, and we do this by recycling newspapers, magazines & mail at the local school. This also benefits the school because they receive money for people recycling. 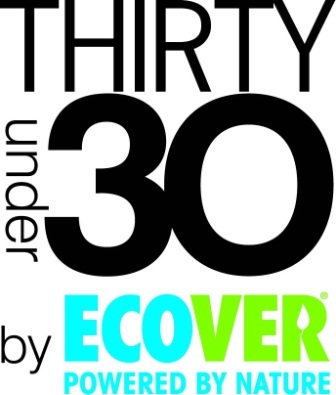 follow Ecover on twitter @kcmichigan #! Thanks for the giveaway...Ecover will be the first brand of cleaning products to use “green” polyethylene, a new PE based on completely renewable raw material: sugar cane. ...we would like to try Ecover's Limescale Remover. #2 ...we would like to try Ecover's Limescale Remover. #3 ...we would like to try Ecover's Limescale Remover.